I’m writing at the end of a long, dusty mission, after numerous plane, train and car journeys. In fact, 1/7th of my time has been spent on being transported from one city to the next; this gave me plenty of time to marvel at the diversity in city structures. The first stop was Kiel, Germany, where I spent a few hurried days with academics, government officials, private companies and journalists, discussing solutions for pressing problems in trade and clusters and their impact on poverty and inequality. A city of around 280,000 residents, Kiel is small, about as dense as Dublin, and well-linked with the rest of Germany and Europe. It is one of multiple core-municipalities that form a system of cities around Hamburg along with Lübeck, Bremen etc. The train from the airport was relatively painless, and travel within Kiel (to shop for fresh bread and herring) consisted mostly of short walks. From then on the objective of the mission was to plan studies in Ethiopia and Kenya, focusing on rapidly growing cities. And more importantly, what municipal and national governments need to prioritize to ensure efficient, equitable and sustainable urbanization. It is a peculiar, yet illuminating, exercise to identify national trends and challenges, while being subject to location-specific idiosyncrasies. Fast-growing towns like Nakuru have an opportunity to put in place well-thought through urban plans – the importance of such planning is self-evident when short journeys through Nairobi are invariably met with gridlock. Migrants flock from smaller towns and cities in Ethiopia to the capital for economic opportunities – the rapid informalisation of Addis is stark evidence of its lure. Perhaps I’m gazing through a spatial lens – but there are certain characteristics that stand out in each city. In Addis, it is the furious rate of construction. In Nairobi, it is the endless lanes of traffic. And in each case, I believe that the capitals have much to learn from the other. Downtown Nairobi is interspersed with large shopping malls, buildings that concentrate shops and offices in a few blocks of the city. These create monster traffic jams and lead to pollution. In response, an approach that features smaller,higher-density blocks, mixed-use neighborhoods and accessible public transportation would alleviate these unintended consequences (for instance, Addis is putting in place a light rail transit system). Such livable cities would balance economic development with energy efficiency, improve air quality and reduce congestion. Urbanization in Africa has been largely informal. There are signs of it everywhere – in the Juakali workers selling goods on the street in Nairobi, in the informal settlements and slums in Addis. In fact, migrants pouring into the big cities are being pushed further and further into the outskirts. And research shows that it is the poor who bear the heaviest burden of travelling to their place of work. 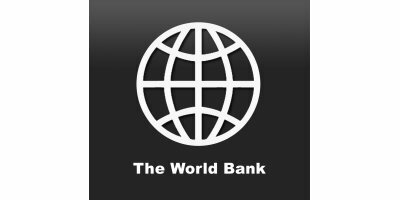 The World Bank’s Urbanization Review program demonstrates a troubling trend towards premature suburbanization - a consequence of maturing land and real estate markets but also of unwelcoming policies that encourage industries and people to locate in cheaper locations at the periphery of cities. This premature suburbanization leads to low-density development that constrains the benefits of agglomeration (especially clustering of formal and informal sectors that can spur entrepreneurship) while lowering quality of life, increasing the costs of everything from transport to basic service delivery, and unnecessarily expanding the environmental footprint of cities. Towns and cities in African countries are growing fast – they will have a small and rapidly-closing window of opportunity to make urbanization work. Around 450 million people are expected to join Africa’s cities between 2010 and 2040. And there is growing interest in the factors that will allow urban areas to absorb these migrants – create employment, deliver services, provide infrastructure. The Spatial Development in Africa program, working jointly with academics at the LSE and Oxford, will investigate how growing densities in Africa need to be supported by proactive policies and by appropriate infrastructure—including appropriate transport modalities, public transport, drainage, street lighting, electricity, water, and sewerage, together with policing, waste disposal, and health care. Guided by its new urban development strategy in Africa, the World Bank is responding to these challenges, using every tool in its arsenal – knowledge, partnerships and investments. No comments were found for Cities on the Move - Thoughts on urban growth from Kiel to Nairobi. Be the first to comment!